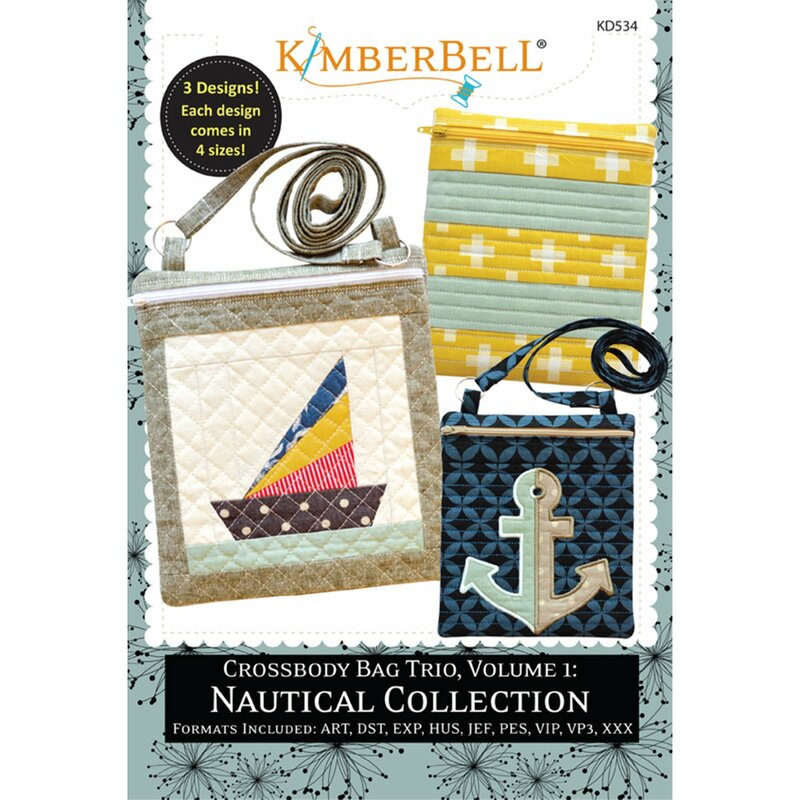 Crossbody Bag Trio, Volume 1 has 3 different nautical-inspired designs — each in 4 sizes! You’ll receive design files for 12 bags! Each one is fully lined, and no raw edges or stabilizer is showing. It’s all done in one hooping! Optional steps for adding straps to your bag are also included.